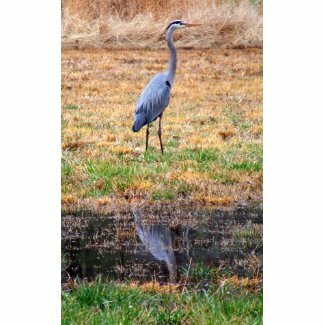 When the Sacred Waterbird, Blue Heron, comes to you in the Native American Totems tradition it gives you a lesson of self-reflection. Heron medicine teaches us about the power of knowing ourselves so that we can discover our gifts and face our challenges. We learn to accept all of our feelings and opinions and not to deny the emotions and thoughts that go with them. Blue Heron encourages us to follow our intuition and to take the empowering journey into self-realization. I chose this totem message today (or perhaps it chose me) because in the last few days I’ve been on a journey of self-reflection. As much as I work with the lessons of the Native American Totems, one would think that I would have recognized that the Sacred Waterbird was flying over me. Sometimes we two-leggeds can be a bit dense when it comes to the messenger totems that enter our lives. When I sat down to free my mind and decide which totem to write about today, the majestic Blue Heron landed in my mind’s eye. Let’s just say it was one of those “Ahhh” moments. Let’s explore the message that Heron is bringing to me personally and probably to you too if you found this post today. Blue Heron comes to us encouraging us to dive into the world of our feelings and to look for our truth. If we only look at ourselves in a negative frame we never understand our true potential or recognize the opportunities that come our way. We don’t want to get stuck in the notion of self-importance. We should not think of ourselves as having little or no worth nor should we wallow in self-pity. Heron says to reflect on your feelings and get to know ourselves intimately to find our true calling. The Sacred Waterbird tells us not to blame others or point a negative finger at the situations of life. This majestic bird says to claim responsibility for our own actions and to face the enemy within us all. We need to find a balance to our inner truths, work on our inner weaknesses, and develop our strengths to know our own spiritual essence. This takes courage to make this journey because it isn’t easy to look at ourselves in an honest way. We can find wonderful healing for our souls, truly allow ourselves to make our dreams come true, and live our lives to their greatest potential if we listen the the messages of our Native American Totems. The Blue Heron is very wise. Definitely hard to look within, but truly life-changing if we do. .-= MiMi´s last blog ..MiMi commented on the blog post Shaker Furniture: Craft, Style, And Beauty =-. Yes, MiMi, Blue Heron reminded me to stop pointing fingers or finding blame with others and work on improving my own outlook, my own abilities, my own weaknesses. That should keep me busy for a while! I love this! Such a great message for me, today. And the special gift of seeing a heron, as I exited the freeway! So grateful. I absolutely love blue herons and am a pretty reflective person. Self-reflective is another matter, something I also have been working on lately. What came to me while reading this beautiful post was the word “humility” – humble enough to realize our failings but also our gifts. .-= Kim´s last blog ..I Capture the Castle by Dodie Smith =-. Very good thought, Kim. Humility is a wonderful word to describe the lesson from Blue Heron. It is quite humbling to reflect on our inner self and see that we have much to work on so that we can truly like the reflection in the mirror of our soul. I knew I loved Blue Herons for some reason. Yes, the outer walk is dependent on the inner. And that is a constant job — keeping ourselves free of judgment of others and ourselves on a positive plane. .-= Joan Adams´s last blog ..Guide Dogs for the Legally Blind, A Second Review =-. I was driving and came upon a dead tree. In the top of the tree, was an Eagle. Two branches below was a great blue Herrin. I knew this was a very significant moment in my life. That the Universe was speaking directly to me. Never truly understood the meaning. Until years later looking back at teverything that occured. We saw one yesterday diving under the water at the ocean/bay we were at <3 Thank you! I knew he had a message! There is a most beautiful Great Blue Heron that I see every night while walking to work and every morning while walking home. The first time I saw it, I told him that he was beautiful, and now he waits for me to speak to him each time I see him. If I don’t, he lets out a squawk to let me know he’s there. Is there some significance to this? My friend thinks the bird is in love with me.